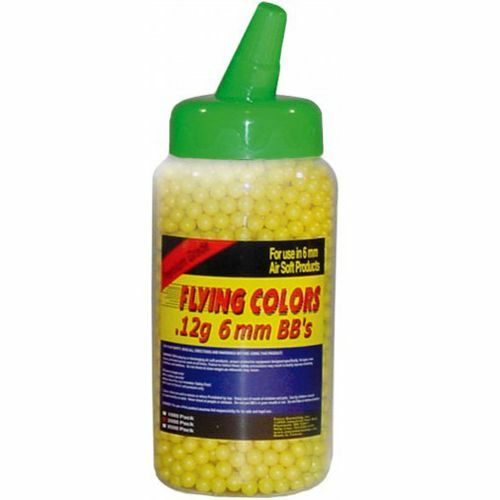 It's easy to look on the bright side with the Flying Colors .12g Airsoft BBs. These neon yellow BBs provide better visibility during target practice and come at a low price. They are designed for use in spring, green gas, and CO2-powered airguns. The spout bottle contains 2,000 rounds.